In Part 1 I covered how to find and buy the parts you will need to build this LEGO SpaceX Falcon Heavy Rocket. In this post, I will cover the build process and review the actual model. In 2017, LEGO introduced the PoweredUp system, as a successor of the standard InfraRed (IR) + Power Functions system. It uses BlueTooth as a connection, making it much more expandable compared to the limited IR, that’s limited to 8 channels. Also, this means the system can be connected to a smartphone, tablet or PC/laptop, that has a BlueTooth connection. By temporary exemption on the Decree for the Reasonable Restriction of Underage Sorcery, and by special immunity of Section 13 of the International Confederation of Warlocks' Statute of Secrecy, the Ministery of Magic declares that the following review, entitled "Hogwarts, An (in)Complete and (un)Reliable Guide", has been found fit for viewing by any uninitiated muggle, if, and only if, they know they are not perfectly normal, and there is still a whiff of magic, left inside their heart. A new addition in the young XTRA series. I hear a lot of positive sounds about this series. They are great as little adds to your LEGO City. Let’s see if the 40341-1 - Sea Accessories is as useful as the rest. LEGO 21311 Voltron is a LEGO Ideas set that hit it's 10K supported milestone over 2 years ago, and then finally approved for production about 1 year ago. I've been waiting not-very-patiently for it to arrive, but it's finally here. This final LEGO produced version looks fairly different to the original fan-designer's model, so let's take a look at how it turned out. 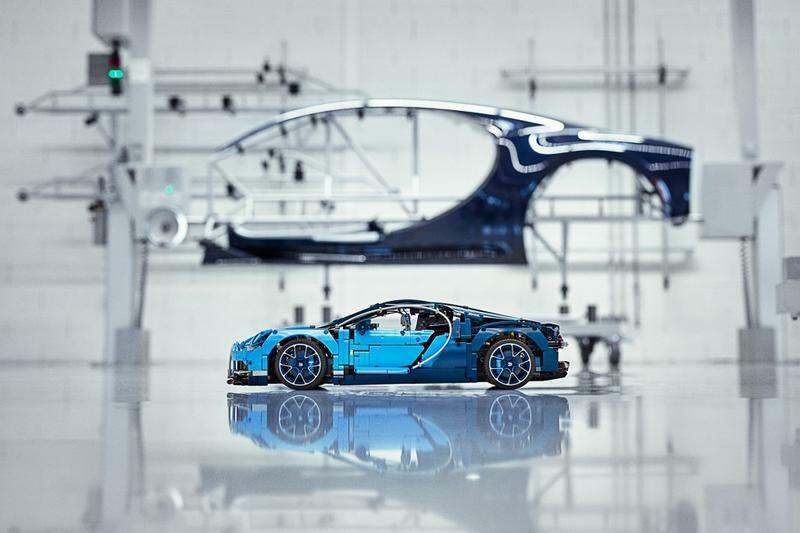 If you are a LEGO Technic fan, and perhaps, even if you are not, you must have noticed the incredible media campaign surrounding the introduction, on June 1st, 2018, of LEGO's latest and largest super car, Technic set 42083, the Bugatti Chiron. In the six weeks since that introduction, I have read or watched fifty or more reviews of this super set, and almost all of them, I am sorry to say, got it wrong. They review this set as if it were a regular Technic set; in other words, you build the set as fast as you can, and then you evaluate how good it looks, how good it functions, and how good it plays. The LEGO 10261 Roller Coaster is the latest model in the Creator Expert line, and comes in at a huge 4124 parts. But what really makes it stand out is its physical dimensions - this is a massive display piece and when combined with some motorisation it really draws a crowd. But it is any good? Madoca's Icarus Supercar is a 1:10 scale model of the McLaren P1. Madoca says it's heavily inspired by the McLaren, due to some small differences, but it looks damn close to me. The latest LEGO Ideas set is the NASA Apollo Saturn V. By now, you've probably seen plenty of reviews from those lucky enough to get the set before it sold out. I'm happy to bring you Rebrickable's review of this amazing model. The Caterham project has been on Lego Ideas for about two years before reaching ten thousand votes and being approved into an official set. I wasn't expecting it to be choosen, honestly, but i'm happy to be wrong. Lego car lovers will be enthusiastic of this set, that, despite being a different theme, joins the recent wave of similar scaled cars like the F40, the Volkswagen Beetle, The Mini Cooper, etc.